Introduction - Mind-Body Stress ManagementMind-Body Stress Management | Elizabeth Richardson lives in Rockville, MD, and has been certified to practice Graf Stress Management since 1991. 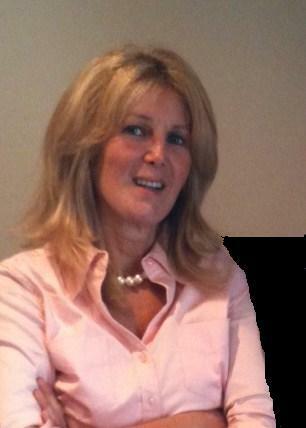 Elizabeth Richardson lives in Rockville, MD, and has been certified to practice Graf Stress Management since 1991. From colds to cancer, insomnia to infertility, depression to diaper rash, as well as allergies, asthma, addictions, acne — for all physical and mental maladies — the link between stress and illness has long been recognized, but without effective solutions. Conventional stress reduction strategies — exercise, relaxation, meditation, hobbies — may bring temporary relief, but they are not capable of identifying or resolving the specific stresses at the root of physical and mental problems. “Talk therapy” is only marginally more successful while being expensive and time-consuming. Graf Stress Management is a revolutionary advance in managing stress. Its signature Stress Evaluation is capable of quickly and accurately pinpointing and resolving those stresses at the root of physical and mental illness, which makes it possible for clients to achieve healing and peace of mind. Bottom line: Instead of relying on therapeutic guesswork to determine the “real issues,” Graf Stress Management is structured to “pull” that information out of the client with his/her help. Debilitating stress is more complex than the typical understanding of stress. Hectic schedules, long commutes, and other pressures of daily life may indeed be unpleasant, but they are not generally the source of stress-induced illness. Instead, the stresses which undermine us are more subconsciously-rooted and are often connected to guilt feelings, lingering resentments, fear, low self-esteem and troubled relationships. In response to stress, we often unwittingly use mental or physical illness to escape from unmanageable situations, to punish ourselves or others, or to fulfill negative feelings, beliefs or fears. When we eliminate the stress, we can eliminate the need for these maladaptations. Our memories are often inadequate for determining what’s troubling us. Major stresses can date from any point in our life, not merely the present. Some stresses may be so distant that we no longer think about them yet their negative energy remains lodged in us, adding pain, limitation, and negative drama to our experience of life today. Each of us has an “innate intelligence” which runs our body and keeps an accurate record of our life. It is capable of delivering good health when not constrained by stress. It also remembers everything that has happened to us and can supply useful information about the stresses we’ve experienced. Graf Stress Managment’s Stress Evaluation draws on the intelligence to identify problem-causing stresses, conscious or subconscious, past or present, as well as to determine how we can best resolve them. Medical science has its place. Our challenge, however, is not to fearfully micromanage the body’s function with tests, drugs, supplements, surgery and other ‘brute force’ intervention but to take care of our stresses and enable the intelligence to do what it does best: run a healthy body. Since 1975, Graf Stress Management has been successfully used by thousands of clients to improve health, well-being, and peace of mind. Mind-Body Stress Management, in Rockville, Maryland, promotes the use of this powerful tool. It is operated by Elizabeth Richardson, a Certified Graf Stress Management Consultant since 1991. For more detailed information, see this site’s Explanation posts or send questions using the Contact page. I’m always interested in what you have to say.